NASSAU, The Bahamas -- The Public Hospitals Authority (PHA) continues its desire to work very closely with health care unions, and has enjoyed amicable relations over the past nine months of dialogue with them, Catherine Weech, Managing Director, PHA. “We have consistently honoured all negotiated benefits under the various existing industrial agreements and I forecast that this will not change,” Ms. Weech said during a press conference at the PHA, Friday, September 21, 2018. 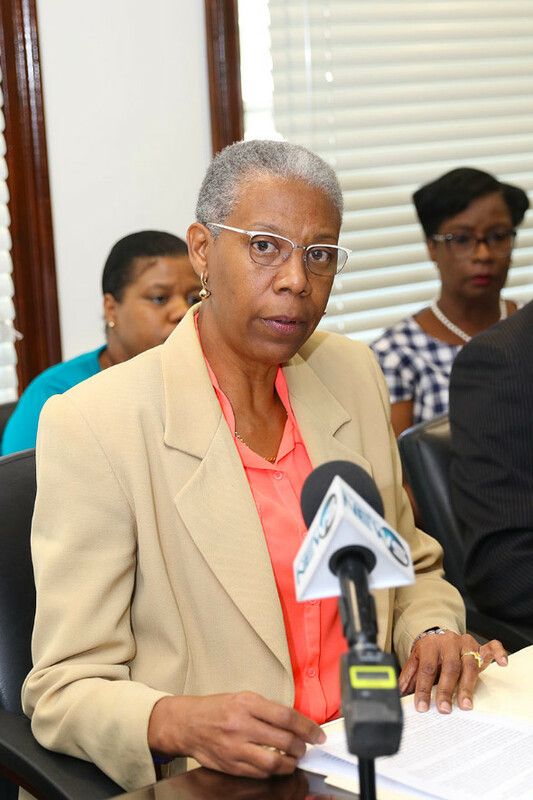 The press conference was held after The Bahamas Doctors Union President Melisande Bassett led medical practitioners in a walk-out at the Princess Margaret Hospital over persisting issues between the group and senior health officials earlier in the week. Ms. Weech explained that as it relates to finances, as it seems to be the crux of the matter in this week’s demonstrations, it is important to note that while the PHA's budget remains relatively unchanged over the course of the last several years, annually the organization is required to absorb the additional cost for the engagement of new Physician Interns and Senior House Officers. She said in order to shed more light, it is important to re-state that PHA continues to be fiscally challenged. “At present, our approved funding from the government of $216 million and our projected collections from patient revenues of $13 million still results in a $25 million shortfall of our projected operating costs for the current fiscal year of $254 million. “Presently, Personal Emoluments which include salaries and related benefits, account for $169 million of our actual expenditure. Put more simply, 80 cents of every dollar allocated to the PHA is consigned to the payment of salaries and benefits for physicians, nurses and support staff." The Managing Director explained that this is compounded by the significant increases in costs related to the procurement of drugs, vaccines and medical and surgical supplies, which accounts for anothoer $32 million in costs, representing 14 per cent of available funding. This leaves very little funding available for the upkeep and indeed the expansion of public health facilities. She said the challenged and aged infrastructure at the country’s main tertiary hospital requires immediate and ongoing repairs and upgrades so that PHA is able to deliver on its primary mandate of providing health care services to the citizens of our country. “While we concur with the positions proffered by both the physicians and nurses that the present state of our physical plant is wanting, it is simply not sustainable to continue to expand salaries and benefits whilst neglecting our responsibilities to modernize and repair our health care facilities.